Made with seventeen 1" x 4" recycled plastic slats. 45 Lbs. Custom designed, decorative circles on top of receptacle. 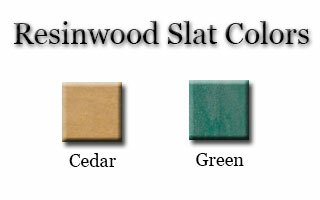 Available in green and cedar with black base/lid. Also available in 12 gallon size - please inquire. 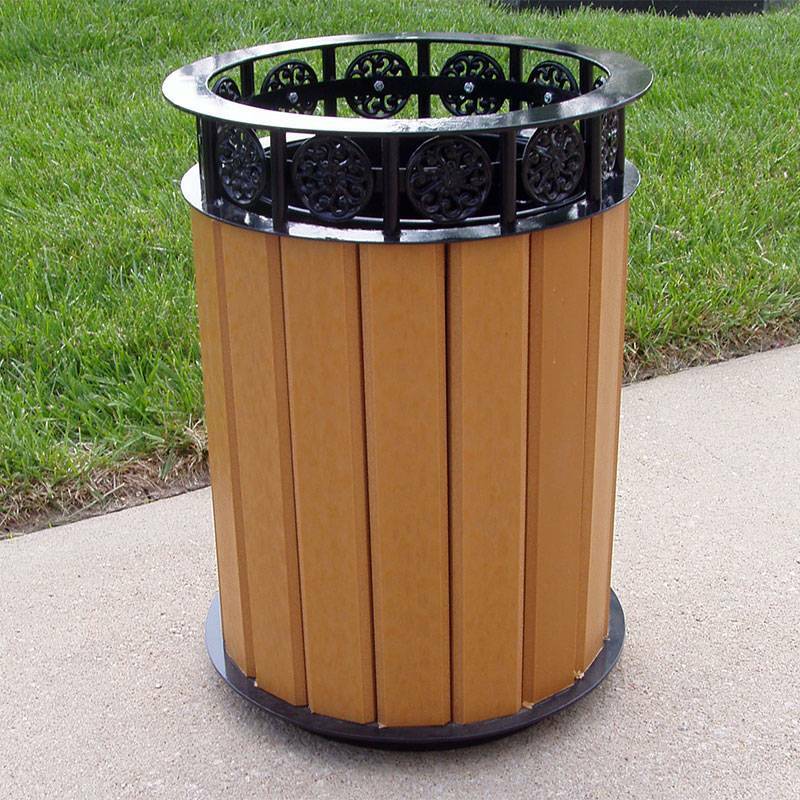 Our beautifully designed Jayhawk Plastics 20 Gallon Jamestown Recycled Plastic Trash Receptacle is both stylish and environmentally friendly. Made from seventeen 1" x 4" resin wood slats attached to a powder coated steel frame. 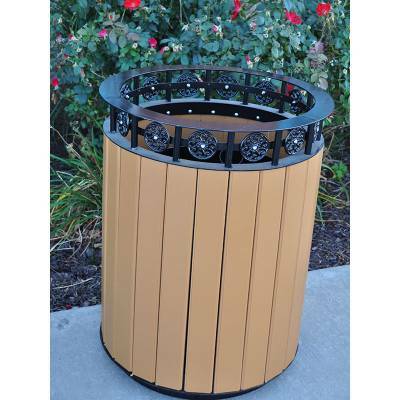 The attractive and decorative circles on top of the receptacle provide both quality and style. Includes UV protected with metal liner. Comes with a 5 year commercial warranty! Best of all...Made in the USA! Call or email National Outdoor Furniture today for a quick quote!